Hello Cwafty Readers! If you're reading this it means you survived 2014, pat yourself on the back. It's going to be a big creative year for me, and one of my goals (not a resolution, those are different) is to post more regularly to keep my creative muscle exercised. Wish me luck! I've had this idea ever since I covered my secondary cork board in that cute mushroom fabric you can see at the top of the shot below. Unfortunately the fabric is too busy to use the pushpins with but they look perfect with my green one! 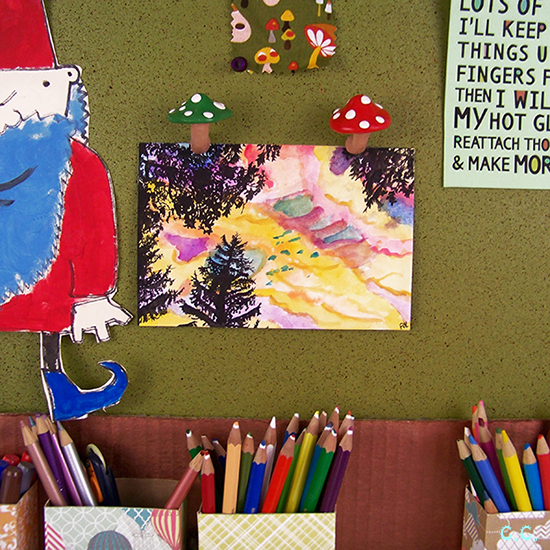 I love the whimsical look of these guys sprouting from my inspiration board and you will too! They are so adorable! 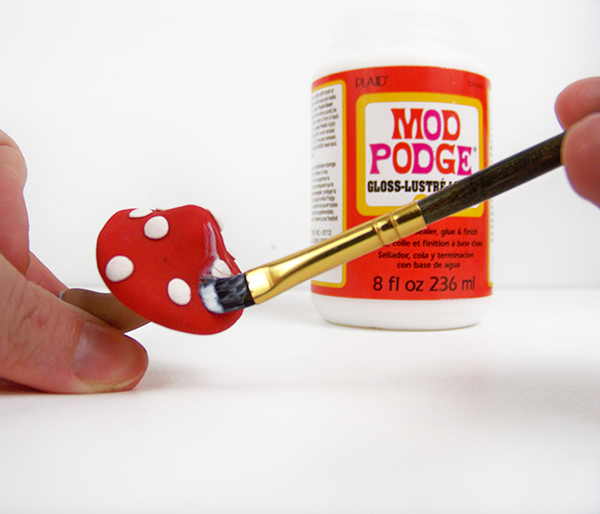 Learn how to make your own over at Dream A Little Bigger! I'm happy with my first craft of the year, and here's to many more!